Yes, Mr. Johnson was in for it. The carnage he was to experience would be absent even from the worst possible nightmare a nineteen year old boy can possibly have dreamed. Violence no young boy of 19 should have to endure. He would have two lives after he stepped into that Marine Corps recruiting station: one of reality during the day and of a nightmare he would never awaken from at night. 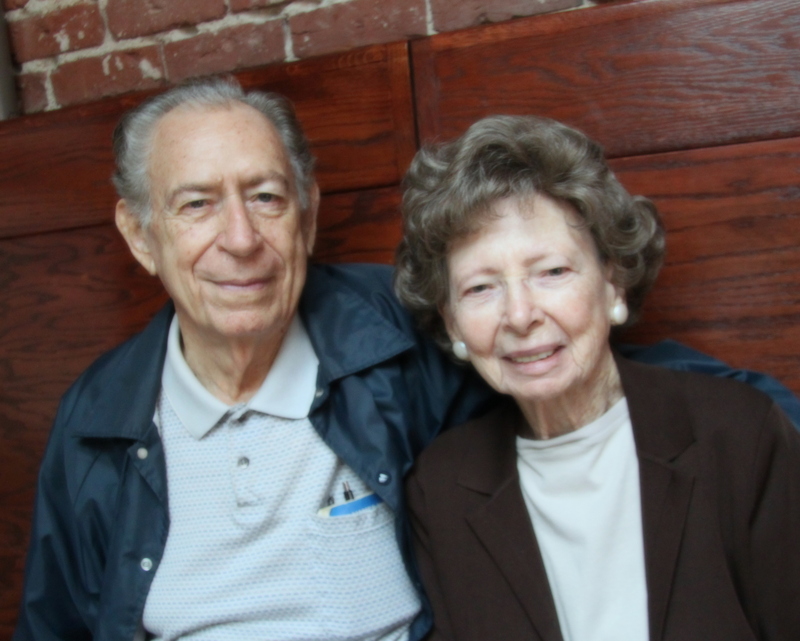 I took them to breakfast for a belated 66th wedding anniversary and 88th birthdays. 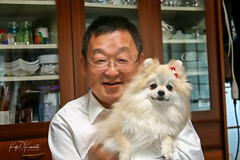 It’s softened as that’s how Marge wanted it. Seal Beach, CA. August 14, 2011. 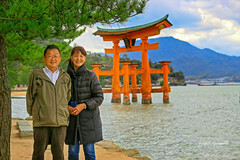 I was not close to Mr. Johnson as I was to Old Man Jack; perhaps it was because for the first five years after I moved into this patriotic Naval neighborhood, he and his good wife Marge traveled about the US in their motorhome. They were gone for perhaps six to eight months out of the year. Man, did they enjoy seeing the US of A. After all, he fought for her. 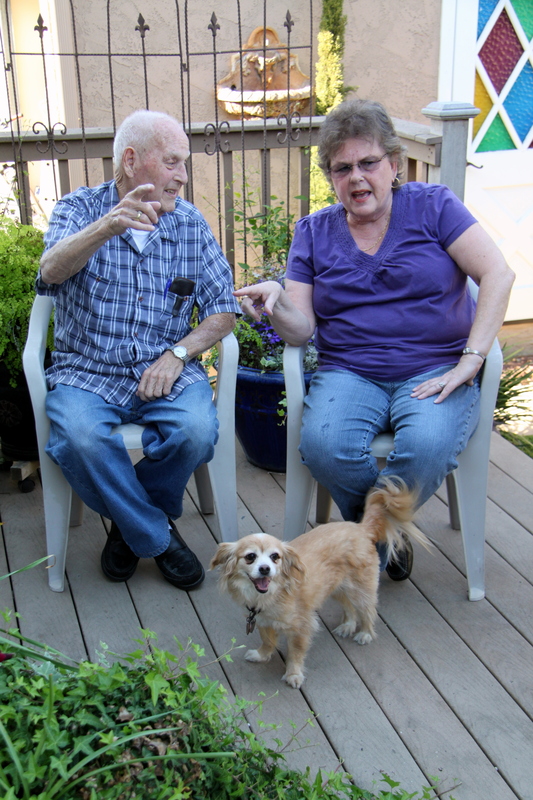 He stayed indoors most of the time when at home while Marge would walkabout during the warm summer nights with her wine and chat with neighbors and me. She enjoyed her Chablis very much. Slowly, her legs would give way to age. Mr. Johnson’s, too. In the early part of 1942, Mr. Johnson found himself on a little boat out in the middle of the Pacific – the Big E.
She was one of only three operational carriers in the Pacific. The Enterprise, Hornet and Yorktown. He was on his way to the Battle of Midway (Mr. Johnson did not tell me that. Old Man Jack did.). June of 1942. A tremendous gamble of scarce naval assets and young men by Admiral Nimitz. PFC Doreston “Johnnie” Johnson manned her anti-aircraft batteries as a US Marine. Thousands of young lives were lost during the most critical sea battle – on both sides. But the critical gamble paid off for the US. 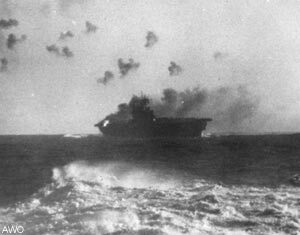 The Japanese Imperial Navy lost four carriers. They would never recover. But we lost the Yorktown. A tremendous loss for the United States…but the tide of war changed. 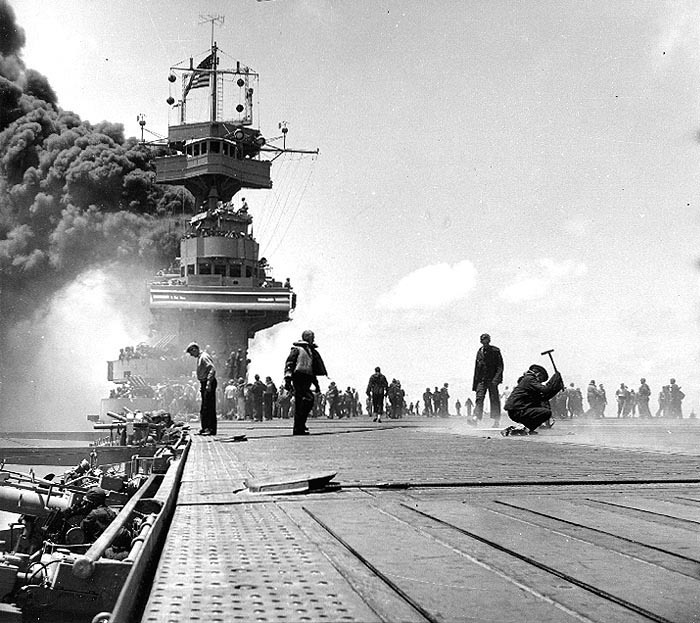 The USS Yorktown on fire at the crucial Battle of Midway. She would later be sunk. Miraculously, the Enterprise escaped damage. And as far as I understand, so did the young boy from Basile, Louisiana, Mr. Johnson. His next trial would be Guadalcanal and the Solomon Islands campaign. It would be an insult to to all the brave men that were there if I were to even try and express in writing what brutal sea combat was like. I was not there. But every young man there thought – every second – that there was a bomb coming at him. Constantly. Like hearing shrapnel from near bomb misses ricocheting off the batteries – or striking flesh. The deafening, unending thundering of “whump-whump-whump” from AA batteries. The yelling. The sound of a mortally wounded enemy plane crashing into the water nearby with a likewise young pilot. The screams of wounded or dying boys. “Repaired at Pearl Harbor from 10 September to 16 October, Enterprise departed once more for the South Pacific where with Hornet, she formed TF 61. 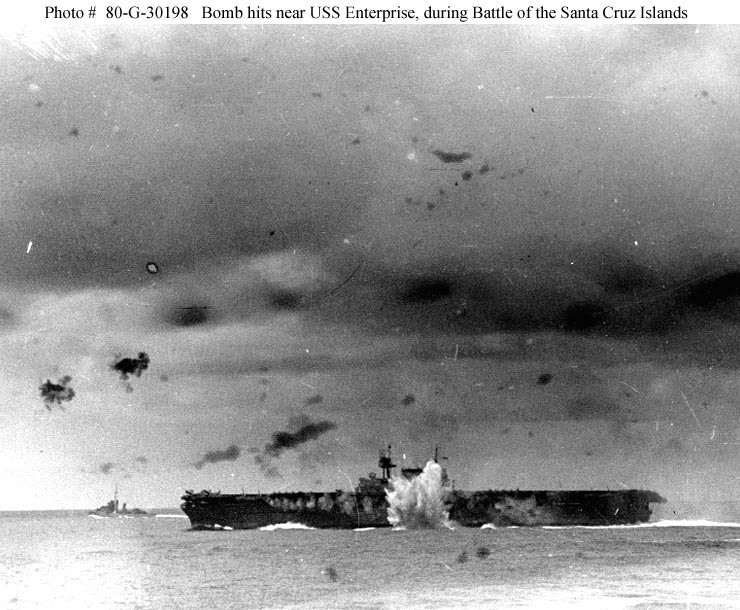 On 26 October, Enterprise scout planes located a Japanese carrier force and the Battle of the Santa Cruz Island was underway. 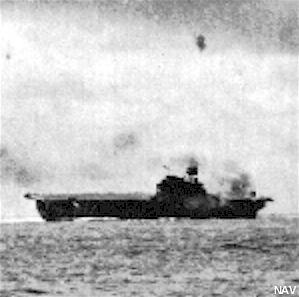 Enterprise aircraft struck carriers, battleships, and cruisers during the struggle, while the “Big E” herself underwent intensive attack. Hit twice by bombs, Enterprise lost 44 killed and had 75 wounded. Despite serious damage, she continued in action and took on board a large number of planes from Hornet when that carrier had to be abandoned. 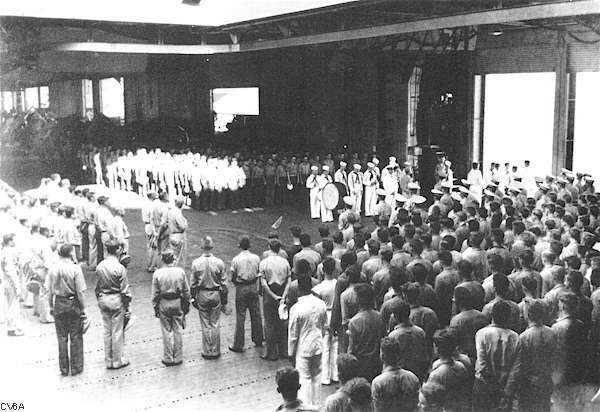 Though the American losses of a carrier and a destroyer were more severe than the Japanese loss of one light cruiser, the battle gained priceless time to reinforce Guadalcanal against the next enemy onslaught. 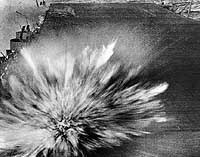 Regardless of who is correct – and we’ll never know for obvious reasons – Enterprise gunners shot down more planes at Eastern Solomons in 15 minutes and at Santa Cruz in 25 minutes than did the vast majority of all battleships, carriers, cruisers and destroyers throughout the entire war. For those of you who are unfamiliar with the violence of World War II, perhaps these photos will give you an idea. Try – just try – to imagine you are on that ship… Nineteen years old. The Japanese planes are shooting at you and dropping bombs on you. Dead and wounded boys are everywhere. Fires are raging… The ship is listing…and through all this, you must continue to man your anti-aircraft guns… Protecting the ship and the lives of your fellow Americans. 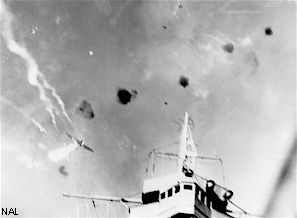 One of the direct bomb hits. All the young men in this area (Gun Group 3) were killed. Many could not be found. The USS Enterprise under attack. A near miss but men were killed or wounded by the shrapnel. The USS Enterprise on fire. August 24, 1942. Mr. Johnson was on her. A Val bomber on fire goes past the radar mast on the USS Enterprise. Perhaps one of Mr. Johnson’s rounds hit it. 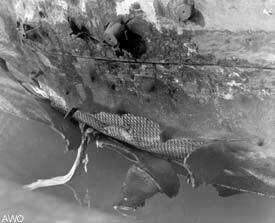 Damaged hull from one of the near misses. 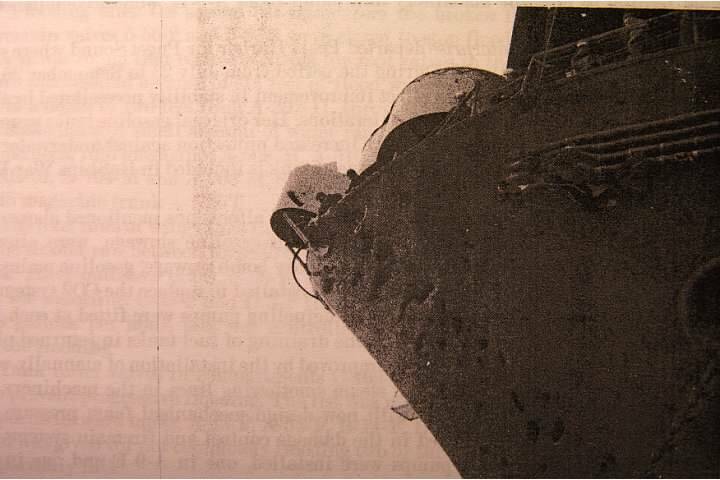 More hull damage from bomb shrapnel. 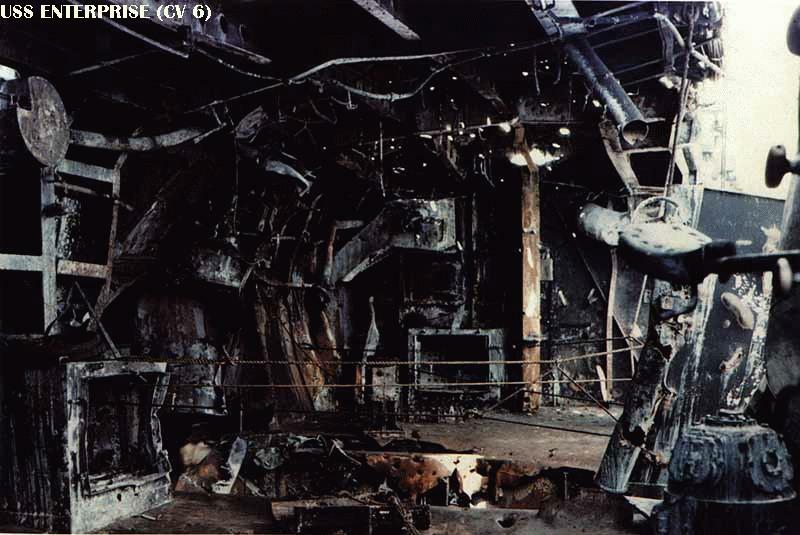 The USS Enterprise listing from battle damage. 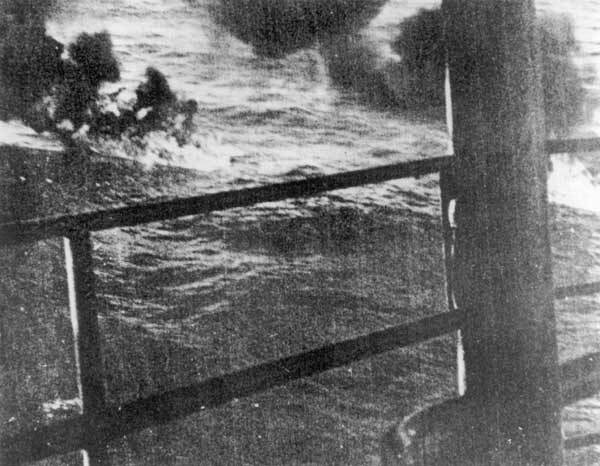 Burning Japanese planes seen from the deck of the Enterprise. That’s how close they were. Up close and very personal. Aug. 24, 1942. Remember these young boys. I always will. Mr. Johnson was one of them. Mr. Johnson was one of those wounded. And I have proof of his valor and guts on board as a US Marine. More to come in Part III.